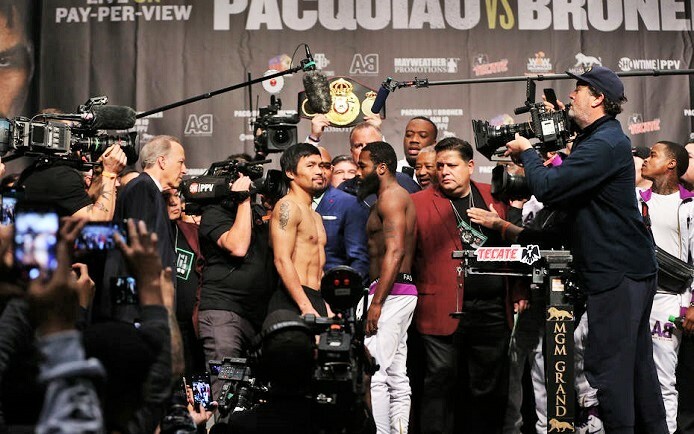 There was no reason for Manny Pacquiao vs Adrien Broner to be a meaningful fight and in the end it was a bit on the sound and fury, signifying nothing side. 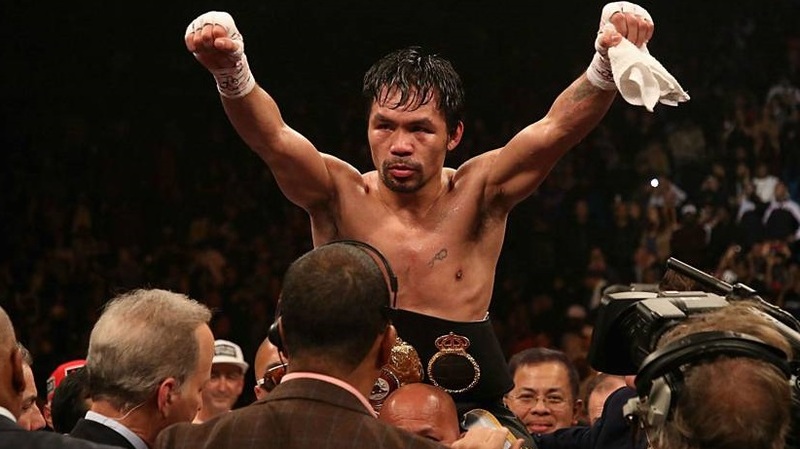 After all, after more than two decades and 69 fights and various world titles, Pacquiao’s legacy as a pugilist for the ages was cemented several years ago. So, for those who went into boxing hibernation since the long overdue “MayPac” superfight put them to sleep, let’s put last night’s match-up into perspective. Why is Manny Pacquiao still competing, despite accomplishing all that he feasibly can through his long career? That question has become increasingly puzzling since his 3.3 billion piso (equivalent $62.7 million U.S.) tax debt to the Filipino government was expelled in a Manila courthouse in July of 2018. No doubt other financial concerns remain, including, reportedly, outstanding taxes to the U.S. government, not to mention the demands of his political campaign, and his entourage, and the many impoverished Filipino citizens who look to him for help. But beyond all that, it appears Manny Pacquiao simply wants to keep fighting. Pacquiao and Broner weigh in. 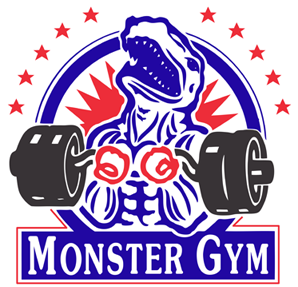 So addicting, in fact, that Pacquiao decided to resurrect himself during the latter portion of 2018, as he cut ties with Roach and promoter Bob Arum, before eventually signing Al Haymon, who has contractual control over three of the four welterweight title-holders. But do clashes with the likes of Errol Spence, Shawn Porter, and Keith Thurman really make sense for Pacquiao at this stage of his career? Or is some other prospective opponent at the forefront of Manny’s plans? I think most see the writing on the wall, including Matchroom Boxing CEO Eddie Hearn. “I see him winning and then they’ll announce the Floyd Mayweather fight for September in the ring,” said Hearn. Despite Mayweather’s claims that he’s retired with nothing else to prove, his yearly splurges into the squared circle suggest otherwise. The fact is, the story of Pacquiao vs Broner appeared to point in a very definite direction. That is, if everything went according to plan, that plan being Pacquiao beats Broner and then Manny and Floyd battle one last time. Indeed, no other scenario appeared to have more compelling logic. 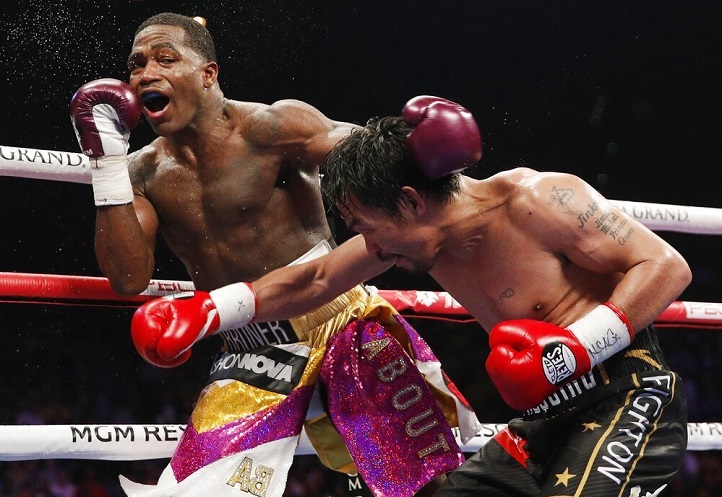 After all, isn’t Adrien Broner the perfect opponent to set up such an outcome? The irony of “The Problem” is that despite being a most brash, outspoken fighter outside the ring, he’s been almost perpetually gun-shy inside of it. More show than substance, Broner’s lackluster efforts against Shawn Porter, Mikey Garcia and Jessie Vargas had undermined his standing as any kind of serious threat, and despite the huge opportunity of a legit pay-per-view event and a showdown with a living legend, he failed to overcome his demons last night and show any of the talent and desire that had made him a major attraction in the first place. 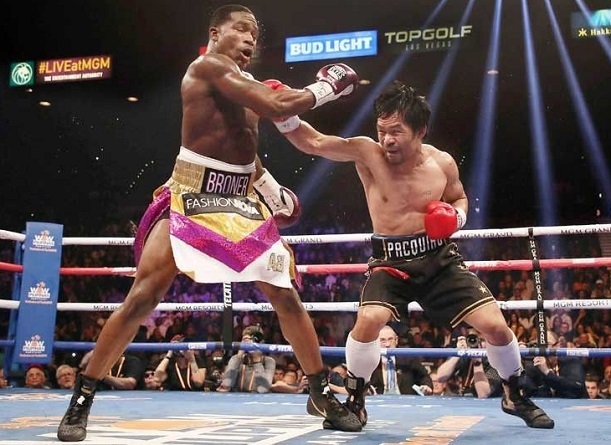 And indeed, from the early moments of last night’s match, it was clear that Broner, boxing out of a very wide stance, intended on keeping his distance from Pacquiao, who carried out his guerilla warfare with sporadic spurts of high-octane offense. A semblance of Broner’s gameplan began to emerge in the second round as he tried to set up potshot right hands and counter Pacquiao coming in, but this was not enough to deter the aggressive Filipino. 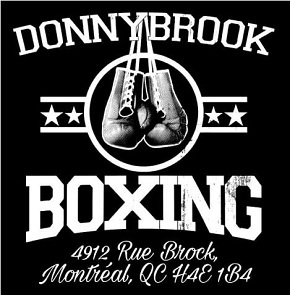 Broner had his best round of the fight in the fourth — a round which was, for this observer, the only one that unquestionably belonged to him — as on several occasions he connected with either the straight right or the left hook. 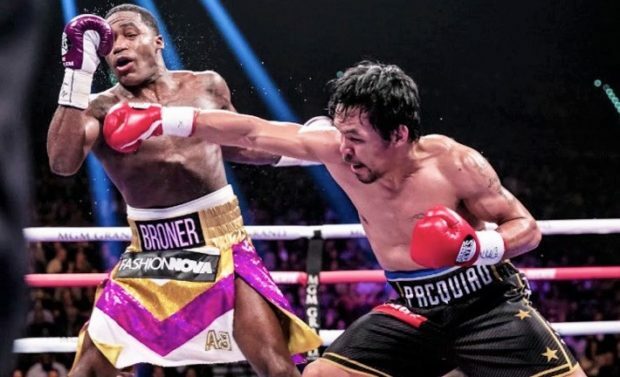 The openings were certainly there on a Manny Pacquiao who, at times, looked very much like a 40-year-old boxer, but that round aside, Broner never made a concerted effort to exploit them consistently and work his way into the fight. 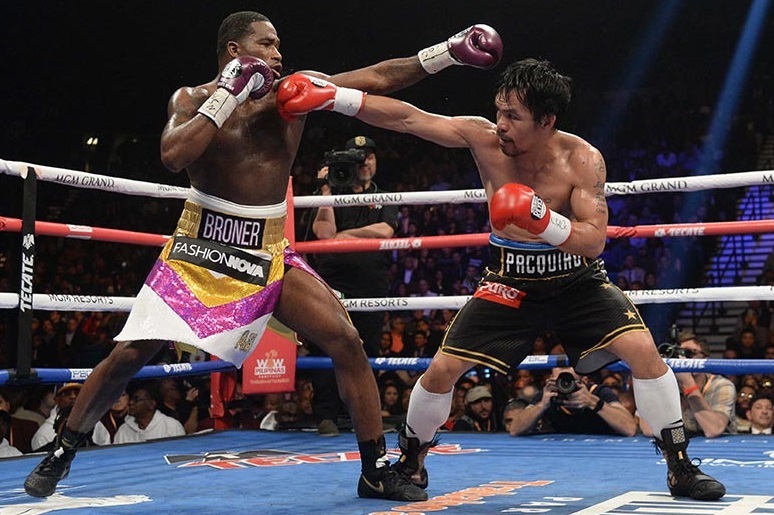 An eye-catching right uppercut-left hook combination punctuating round six was another example of Broner finding openings for meaningful blows, but much more was needed to actually offset Pacquiao’s attacks. Round seven was Pacquiao’s best of the fight, and the closest the Filipino senator got to a knockout. A pair of solid left hands had the Cincinatti native in a heap of trouble, clearly hurt against the ropes. Pacquiao followed up with a barrage of punches in a manner resembling “Pac Man” in his younger years as he sought to put an end to what had been a fairly one-sided match up to that point. 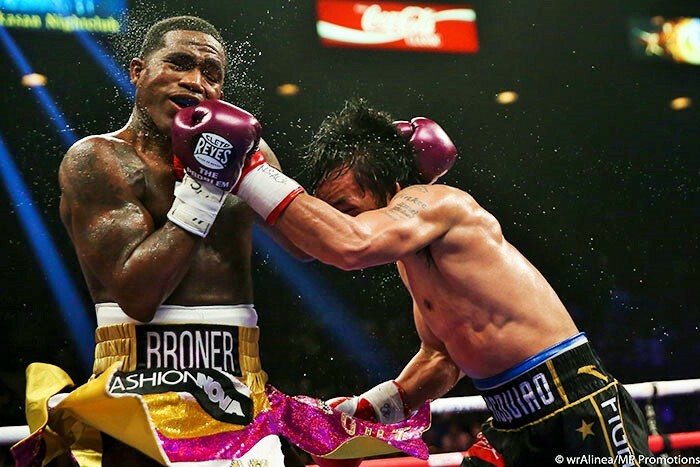 To his credit, Broner survived, but not before absorbing some serious punishment. Surprisingly, Broner did not box as tacitly in the following round as many might have expected, especially given the onslaught he had weathered as he let his hands go and made an effort to counter Pacquiao coming in, albeit unsuccessfully. Manny had another strong round in the ninth as he landed a left hand that caused “The Problem” to stumble backwards and hold on. The championship rounds didn’t offer much that was new or different as Broner began to look up at the clock as if to remind himself it would all be over soon. 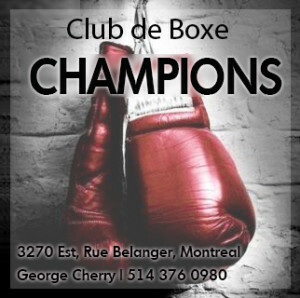 Yet when the final bell sounded, Broner threw up his hands in celebration and jumped on the turnbuckle as if he won the fight, a gesture that appeared comical to any close observer of the match. His antics fooled no one, much less the judges, who saw Pacquiao the winner by scores of 117-111 and 116-112 (twice). But while the outcome was predictable, the post-fight events were not. 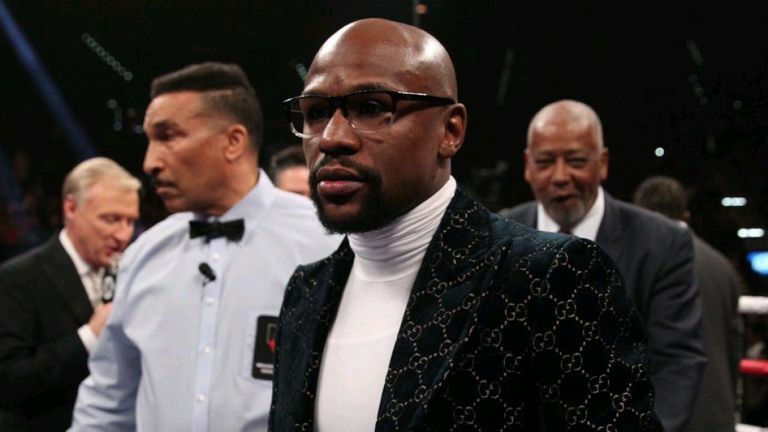 Rather than a WWE style mega-fight announcement between Mayweather, who was seated ringside, and Pacquiao, Floyd refused to take up Manny’s challenge or even acknowledge it. While not as dramatic, it reminded this fight fan of Ray Leonard’s snub of Marvelous Marvin Hagler in Baltimore in 1982: “But unfortunately, it’ll never happen.” All of a sudden, boxing fans had to consider the possibility that the future of Pacquiao’s career might not revolve around another nine figure money grab with boxing’s highest paid athlete. For now at least, that puts Pacquiao’s career in limbo. Mayweather Promotions CEO Leonard Ellerbe emphatically tried to quell the notion that a Floyd vs Manny rematch may be on the horizon, as he pointed to other possible opponents, including Danny Garcia and Keith Thurman. Given the Haymon stronghold on the cream of the welterweight crop (except Crawford), fights against Garcia, Thurman, Porter, and even Spence are there for Pacquiao if he wants them. However, with such a valuable, yet vulnerable, commodity in the 40-year-old superstar, Haymon and company may want to carefully consider how Manny might proceed in the twilight of his career. 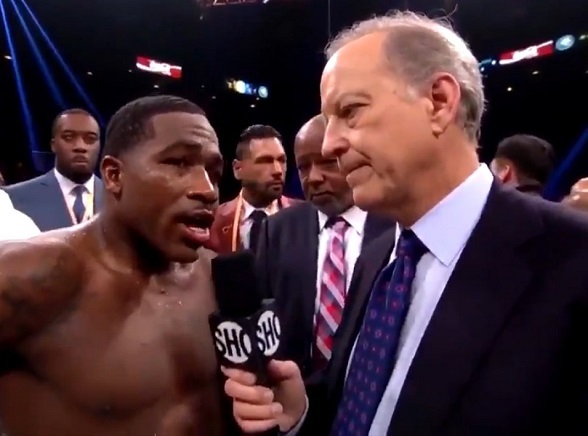 As for Broner, it was an all too familiar act in the post-fight interview, as he insisted he won the fight and spewed a slew of untasteful remarks at a disgusted Jim Gray. It’s hard to picture a way in which Broner lands too many more lucrative match-ups coming off this performance, yet we’ve said the same after his defeats to Shawn Porter and Mikey Garcia. Unfortunately, there’s always a market for the villain in boxing, and the future of Broner’s career certainly banks on that notion. Broner was his usual classy self after the verdict.